Toddlerhood is a particularly challenging time for parents. It is around the age of two or three that children first learn that they are individuals with the power to make independent choices. Yet, they still are helpless little children who can’t reason and communicate properly. From carelessly hurting other children to refusing to get in the car seat, young children at this age dream up all kinds of bothersome behaviors on a daily basis, leaving their parents with the challenge of finding effective ways to enforce discipline. Whatever method you favor, you need to make sure that you do not damage your child’s tender spirit in the process. You do not want a cure that is worse than the disease. Try these tips for disciplining a toddler. If you need your toddler to do something like turn off the TV and come to bed, you can be firm about bedtime, but add in that the two of you can do something fun along the way. The child can pick whatever book he wants to read, or pick the flavor to add to his bedtime glass of milk. This allowance can make your child feel like he is still in control. If your child will not stop bouncing a ball against the window even after you have tried explaining to him why it is wrong, you can simply try to move him to another activity that he enjoys. Soon, he will forget about the ball. You do not need to worry that your child still has not learned that it is wrong to bounce a ball against the glass. He is incapable of understanding that at this age. He will understand in a year or two. One of the most famous images that people have of Dennis the Menace is of him on one of his timeouts, facing the corner. Dennis, though, was 5 ½; timeouts may not be a good idea for a very young child. Psychologists believe that they may make a child believe that he is bad. If you do favor timeouts, you should make sure that the corner is a cozy one, and the child stays there no more than a minute. Just as a timeout corner is a place that will help your child understand that he has done something wrong, a victory space to celebrate every good thing he does – perhaps a podium – will help him see what is really right. A little clapping and dancing may be in order when your child does something wonderful. When you reinforce good behaviors, your child will want to do more stuff that brings it on. Very young children simply do not have the mental development needed to understand explained logic. Short, single sentence explanations are all you need to use. Anything more would confuse your child. 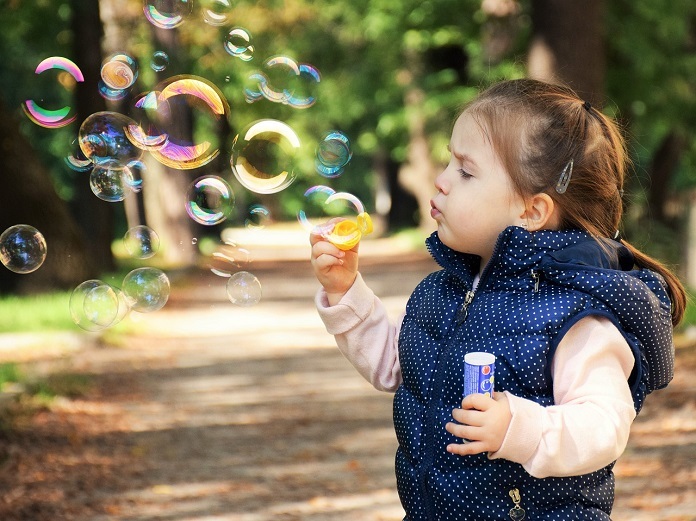 Instead of telling your toddler, “Stop that, or no candy,” try saying, “If you keep doing that, it will make me so tired and sad, I do not think I will have the energy to take you to the park.” Toddlers do understand this type of reasoning. A bribe may seem like an easy way to get your child to behave. For the most part, though, bribes only put you on a slippery slope of ever-increasing bribes. You cannot compromise in matters involving your child’s health or safety; in other things, though, you can give in sometimes without getting worked up. Whether your kid wants to wear swimming goggles through a meal or watch the same cartoon for the hundredth time, it is okay to give in. You only have a certain amount of strength, after all. With a brain still in early development, toddlers have a hard enough time making sense of the world. You do not need to add to the confusion by being inconsistent. If you object to unacceptable behavior, do not be extra angry on some days and lenient on others. You will get your child thoroughly mixed up. From time to time, news programs show security camera footage of parents who just lose it with a difficult child, reacting with kicks, punches, or slaps. As easy as it is for the world to judge these parents as monsters, they often just react to impossible amounts of stress. No matter what your child does, it is important to understand that what you have is a poor little child who does not know any better. Pacify him with a calm mind.